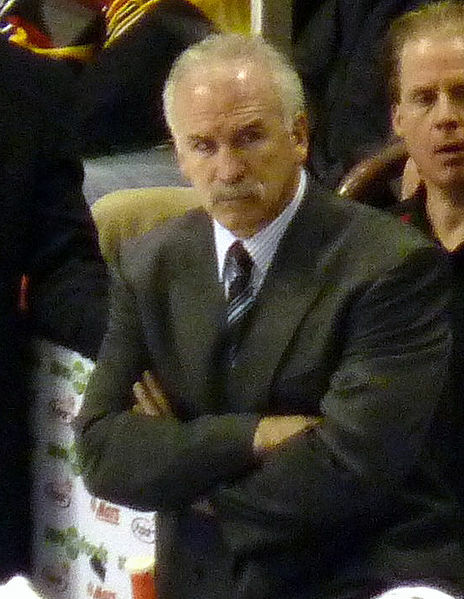 No coach faces a greater short-term adjustment than Joel Quenneville in Chicago after Duncan Keith was ruled out 4-6 weeks following surgery to repair a torn meniscus. Not only is Keith a two-time Norris Trophy winner who won the Conn Smythe with a historic performance last spring, he’s also the key to the Blackhawks’ effectiveness playing in Quenneville’s system. He’s a player that makes a good first pass, can carry the puck through neutral ice, and excels defensively. Despite all his offensive accolades, it is actually his defense that will be most missed during his time on Long Term Injured Reserve. This is mostly because the man currently replacing him in the lineup is David Rundblad, a defenseman known more for his defensive lapses and untimely turnovers than his offensive skill. Last postseason Rundblad was frequently scratched in favor of journeyman Kyle Cumiskey due to his poor defensive play and costly turnovers. And after playing just one game in 2015-16 before being replaced by rookie Viktor Svedberg, it’s clear that Quenneville has given Rundblad a short leash. With that in mind, Hawks fans shouldn’t be surprised if top defensive prospect Ville Pokka finds his way into the lineup as a bottom-pair player alongside either Svedberg or Trevor Daley. Pokka isn’t a particularly flashy player at either end of the ice, but his hockey sense and positioning have allowed him to succeed at every level he’s played at. And while Rundblad is certainly a more naturally gifted player than the young Finn, he has still managed to establish himself as a highly regarded prospect among hockey scouts in the game today. His heady play is exactly what Quenneville values most in his players – especially his defensemen. After all, there’s a reason why Michal Rozsival was brought back for a 4th season in Chicago, and it certainly isn’t his offense. For fans that don’t remember, it is important to note that Keith started his career in a similar fashion to Pokka. After playing well in the AHL, Keith earned himself a spot on the Blackhawks with his smooth skating and hockey intelligence. While Pokka will never be asked to become the player Keith is now, the value of solid players willing to play within a system to help their team win can never be understated. And if Rundblad falters, Hawks fans might be able to experience that first hand through the play of their impressive prospect, Ville Pokka.